Yes it is time to visit Kew again, courtesy of a 2016 calendar. This time it is March and potential visitors are being persuaded that this will be blossom time. Oh! Of course visitors are encouraged to get there by London Underground District Railway to Kew Garden Stations. This poster is by Freda Lingstrom and dates from 1925. I have to confess that visits I have made to Kew Gardens have been by car although I know South West London based relatives went there by train the other day. But then they are of an age to benefit from the Londoner’s free ticket, not just on buses but on trains as well. My last visit was in May 2014 where I snapped a shot of this unknown lady. We had a recent family get together at Kew Gardens. Luck was with us and we had good weather with no need to go in the glass houses to escape the rain. 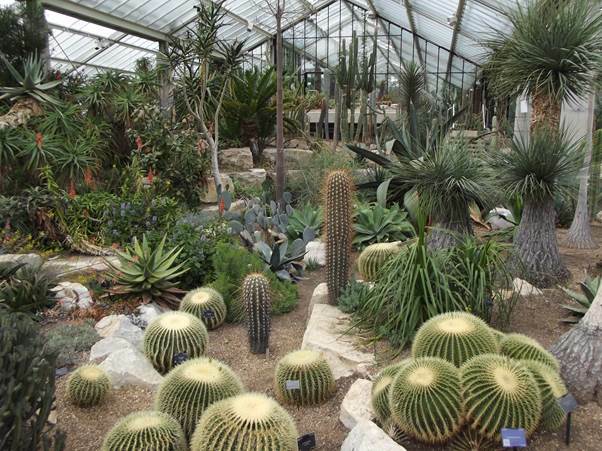 But of course we did visit these interior spots and the Princess of Wales Conservatory remains a favourite, perhaps because of its cactus collection. 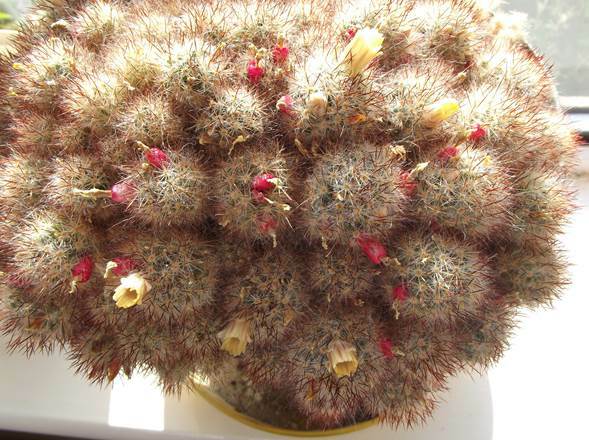 Back in the late 1980s and into the 90s our son had been an avid cactus collector. We took him to Kew to see them back then and when it came to his GCSE technology project he designed and built a watering system with trays to hold water and a reversible pump to put water in and take it out again. He attended meetings of the local cactus society so for a while our life seemed to revolve around these prickly plants. Remnants of his once extensive collection still linger on – inevitably in our house and not his. And look, this one even has flowers about to open. But we can’t rival Kew, of course and here’s a collection at that west London botanic garden. Looking around again, after more than twenty years, certainly brought old memories back for us three – self, wife and son.